The glorious weather this weekend made us abandon our extensive DIY 'to do' list and head out into the sunshine. After all, the jobs aren't going away, but the sun took so long to arrive this year we don't want to miss a minute of it. 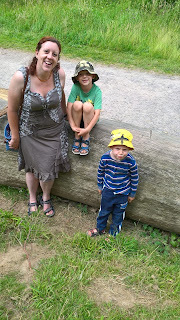 On Saturday we spent the afternoon at Fort Fun in Eastbourne, a seafront play park with water slides which we hadn't visited before and which was enjoyed by the boys. It was the perfect weather for it as the greenish water was freezing and we needed the hot sunshine to keep the kids comfortable. The kids haven't experienced water slides like it before and loved it, the staff were friendly (and very sweet with Ollie when we had to visit the first aider after he tore part of his toenail off) and the soft play was good, so it was worth the trip (although it was pricey to get into so I think it was pushing the limit of value for money). 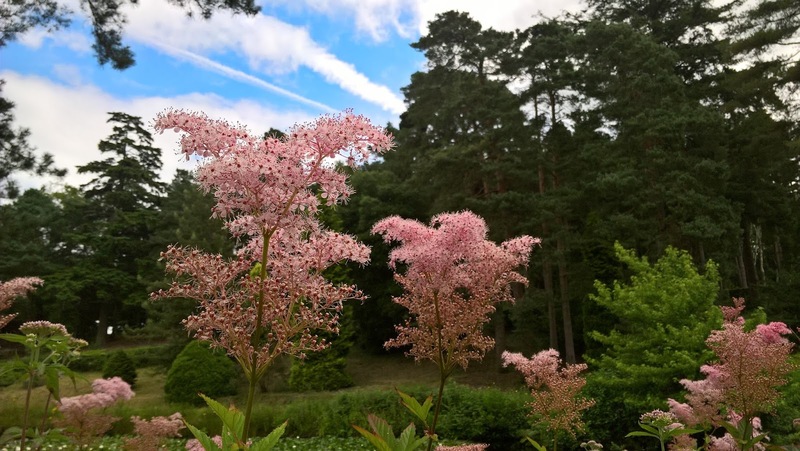 On Sunday we headed to Bedgebury Pinetum in Kent, a favourite with families across Kent and East Sussex. Owned and run by the Forestry Commission, you can't fault the site's well maintained play parks spread along the play trail. The area is very beautiful, and despite the full car park it is a big enough area that you don't feel overcrowded. The site is shared by cycle hire and is popular with families and adults to cycle in, which can be a bit of a hazard with small kids wandering across the paths, but most cyclists are pretty watchful and some even pay attention to the signage in non-cycling areas. Bedgebury is also home to Go Ape tree top adventures which looks fantastic but is blisteringly expensive. 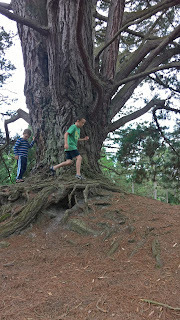 The woods themselves are good to visit, with the play areas being the kids favourite aspect of it (and we of course had to join in on the climbing areas and slides - hence why I always wear shorts under dresses). 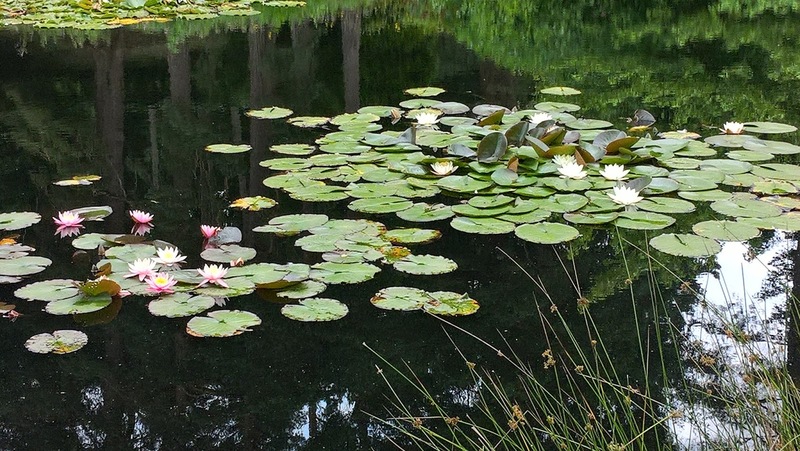 My favourite is the lovely walk around the lakes, bursting with wild flowers on the banks and lilies rising up through the inky, tannin stained waters. I'm more of a broad-leaf kind of tree hugger, but the extensive collection of conifers here is really fascinating. 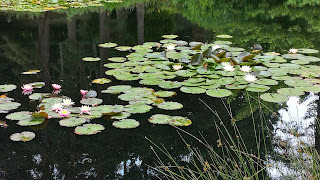 Watching bright jewels of dragonflies and damselflies whirring overhead. Catching grasshoppers and creeping up on butterflies. Investigating sticky amber coloured sap. 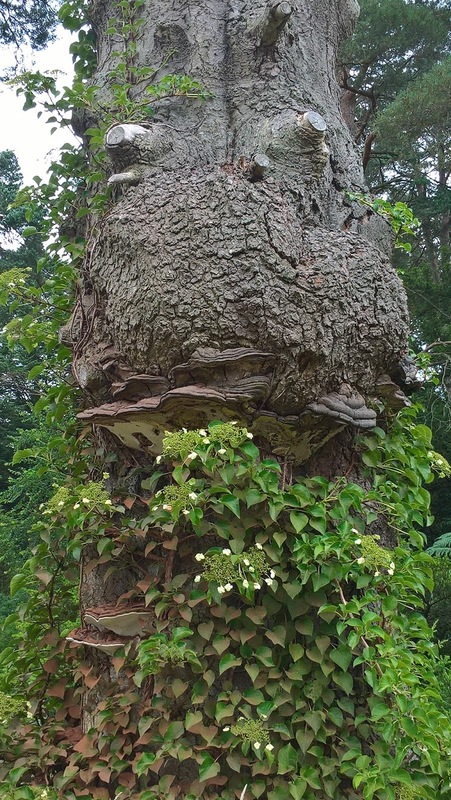 Chatting to the funny face tree with his bracket fungus mouth and beard of climbing hydrangeas. 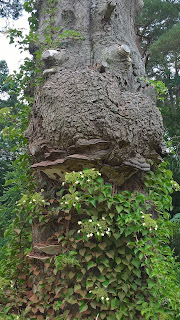 This year there's a Stick Man trail to follow, so we decided that funny face tree was Stick Man's Grandfather. 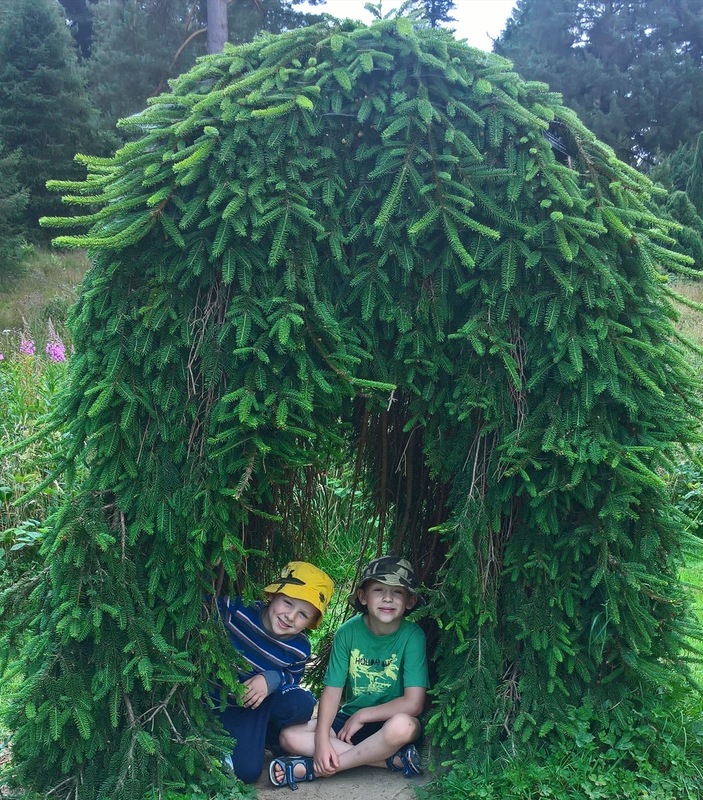 There's something interesting to catch kids imaginations where ever they look at Bedgebury. We've been in rain, even in ice and snow, and always had a good time, but the advent of proper summer weather definitely made it feel like a real treat to be there. I have no financial interest in the locations mentioned. Opinions and photos are my own. Thanks are due to the staff at Fort Fun for their kindness to Ollie when he hurt himself. Both sites were pretty good for accessibility, and had facilities including toilets and baby change. Bedgebury has wooden walkways through tricky bits for prams and wheelchairs around the lakes walk, and paths in the woods are well maintained and level, but a bit steep in places which is worth bearing in mind if visiting with wheels other than a mountain bike. Both sites had a café and small shop selling gifts.